The Internal Medicine Residency Program shares in the Diversity vision of the University of Southern California. We are committed to recruiting and training physicians who are diverse in race, ethnicity, sexual orientation, gender, religion, disability, and age. Diversity in ethnic, religion, geographic, and gender identity among our residents fosters an educational environment rooted in collaboration, communication, and teamwork. To that end, our leadership is dedicated to recruiting trainees from underreperesented communities. The Diversity Council was established as part of the program’s commitment to increasing the diversity of its residency program. The goals of the Diversity Council are to promote an inclusive atmosphere for trainees at USC, to increase the diversity of our training programs, and to provide mentorship and support for trainees from different backgrounds. Los Angeles county is one of the most ethnically and socially diverse regions in the United States and is home to people from more than 140 countries, speaking 224 different identified languages. The City of Angels boasts the largest communities outside their home countries of many nations, including Korea, Iran, Thailand, Mexico, and El Salvador. In addition to those who call LA home, there are over 47 million visitors Los Angeles annually. As a safety-net hospital, LAC+USC serves a large local, vulnerable population. During your training here with us, you will care for these Angelinos, their families, and the visitors to our county. We believe that learning from and caring for a population diverse in thought, experience, socioeconomic status, ethnicity, and religion, breeds a culturally competent and conscious physician. We are proud of our role in helping bridge the gaps in healthcare disparities and providing care for the underserved. 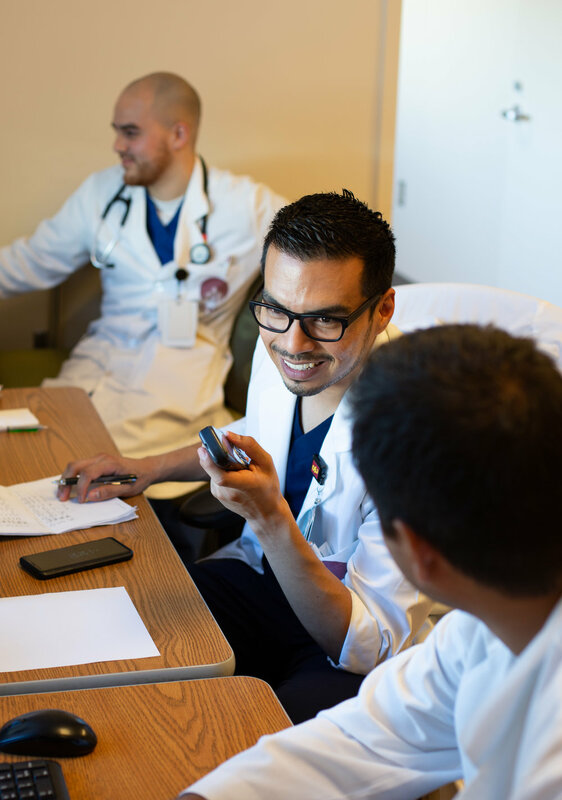 For visiting medical students interested in our program, the USC Keck School of Medicine supports a Diversity in Medicine Visiting Student Clerkship Award. As a recipient of the Diversity in Medicine Visiting Clerkship Award, the Keck School of Medicine will provide a stipend to assist with housing, transportation, and travel for a senior elective in Internal Medicine. Please visit this link for more information.